At 278 yards ...This is my most feared bogey hole. Respect it and you can make the birdie, attack it and you could make 7. Off the tee in match play you might have a go for the green but in stroke play a 5 wood or a 4 iron is the best option. Aim slightly left of the marker to allow for the slope. 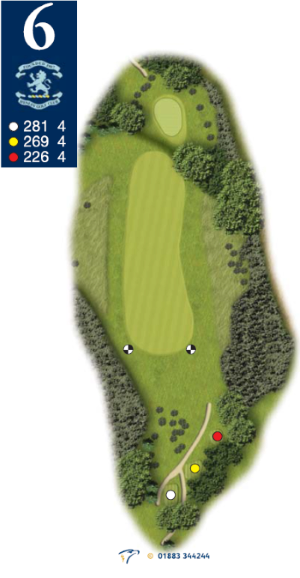 Your second shot should either be aggressive with a wedge or for the easier option a chip and run with a 7 or 8 iron down the slope.